Yesterday was busy, we did our best O.J. imitation, running through the airport, not killing 2 people, and made our plane to Baltimore. 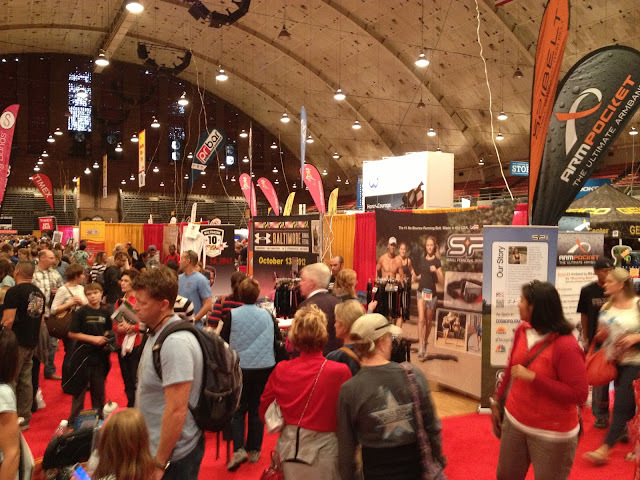 Once we landed we headed straight to the Marine Corps Marathon Expo. It was on the way into DC and easy to find. Once there, we got our bibs, race shirt and bought a couple of official MCM shirts. We drove over the Arlington to the hotel and relaxed the rest of the evening. Today will be sightseeing!